Thigmotropism. 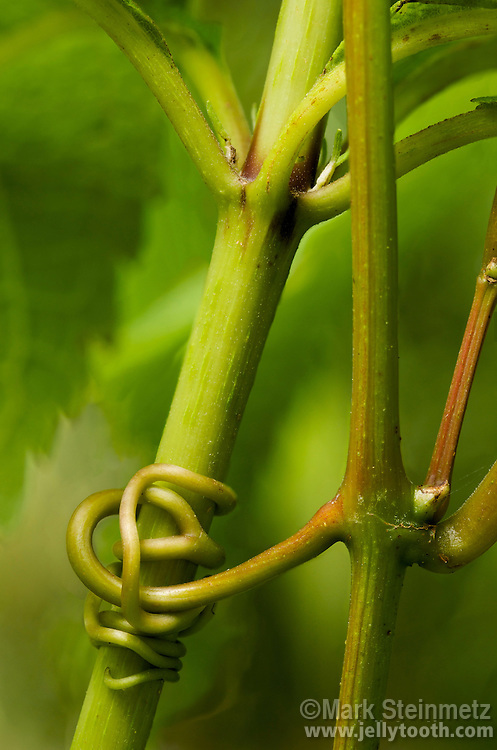 Tendrils of the vine Frost Grape (Vitis vulpina) clasp and coil around the stem of a tall herbaceous plant, Joe Pye Weed (Eupatorium purpureum). The coiling growth response to a touch stimulus is known as thigmotropism.